In today’s ever-changing business environment, it is important to realize that improving sales does not begin or start when a customer is physically in front of you. Today’s consumers expect more. They want fast service, accurate information, and multiple communication options with great service in each channel. One often underutilized channel is the contact center. Believe it or not, customer service contact centers are the heart of many businesses because they are a direct means of communicating with consumers, making them extremely influential to the company brand. Next generation contact centers have the ability to increase customer satisfaction and enhance the consumer experience, which in turn increases one of the most important components of having a successful business—customer loyalty. All sales professionals know the importance of making customers happy, and properly utilizing contact centers can accomplish this feat. Forrester released a report which showed that contact center satisfaction affects consumers’ willingness to repurchase, reluctance to switch, and likelihood to recommend. It also influences consumers’ overall perceptions of how useful, easy, and enjoyable it is to work with a company. If your company doesn’t think it’s worth making improvements to its call center, consider these statistics: According to Bain and Co., a 5 percent increase in customer retention can increase a company’s profitability by 75 percent. Furthermore, Gartner Group statistics state that 80 percent of a company’s future revenue will come from just 20 percent of their existing customers. While constantly gaining new customers is important, companies must not forget how important it is to satisfy their existing customers as well. 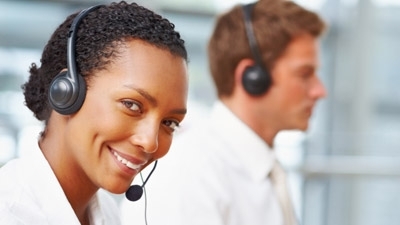 Enhanced contact centers allow companies to create unique agent-customer interactions which help customer service representatives tailor the information and response to exactly what the customer needs. Companies gain the ability to improve responsiveness to customer calls and service delivery. Live chat contact center services allow customers to instantly have their concerns addressed. Consumers are given more options to reach companies, allowing them greater flexibility and more convenience. As market competition grows, companies who learn how to increase customer loyalty will be best positioned for growth and success. If your company hasn’t taken the time to improve its contact center, now is the time. Contact centers are an important means of securing and maintaining a customer’s loyalty. Reduce your likelihood of losing valuable customers and revenue by utilizing your customer contact center to its fullest potential.